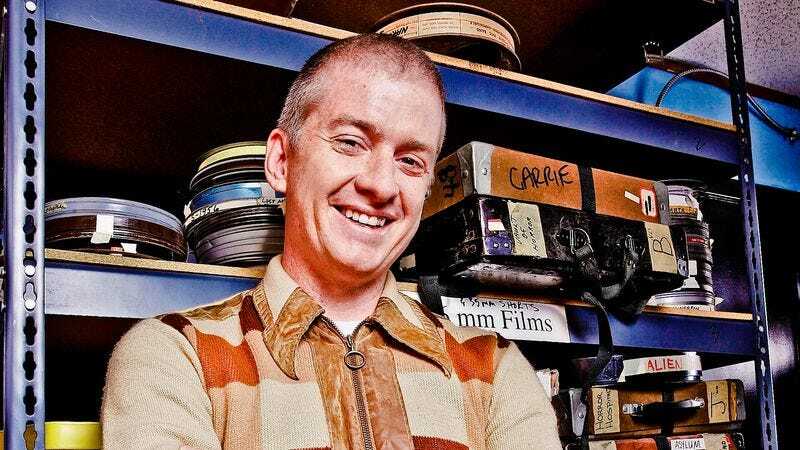 In response to theater owners publicly complaining about Christopher Nolan’s plan to release Interstellar early on 35mm and 70mm film, Alamo Drafthouse founder Tim League has written a Deadline guest column sharing his thoughts on the future of film exhibition. League serves on the board of the American Genre Film Archive and maintains 35mm facilities at over half of the 19 current Alamo Drafthouse locations, facilities that make cool things like Weird Wednesday possible. So obviously League is in favor of exhibitors continuing to screen movies on celluloid, a practice that he maintains is necessary because less than 1 percent of all the films produced since the dawn of the movies are available on DCP. In other words, if exhibitors care about future generations not thinking that film history started with Ghostbusters (an attitude that is already depressingly widespread), they need to screen films on actual film. League also says that the 35mm projector they installed at their Yonkers location paid for itself in less than six months, so maintaining 35mm facilities is a smart business choice, not just an act of charity. Perhaps more surprisingly, League comes out strongly in favor of digital projection, which he defends as “an effort to increase the quality and consistency of presentation” in theaters. In a way, League’s support of digital stems from his commitment to celluloid, as he cites the damage done to film prints by repeated screenings or unskilled projectionists as two of the main benefits of digital. Better to screen your Guardians Of The Galaxys and The Maze Runners on digital, League says, and save the celluloid experience for special events like the Interstellar release, where skilled professionals can handle the prints like the precious objects they are. But, most importantly, theaters should be able to handle both.